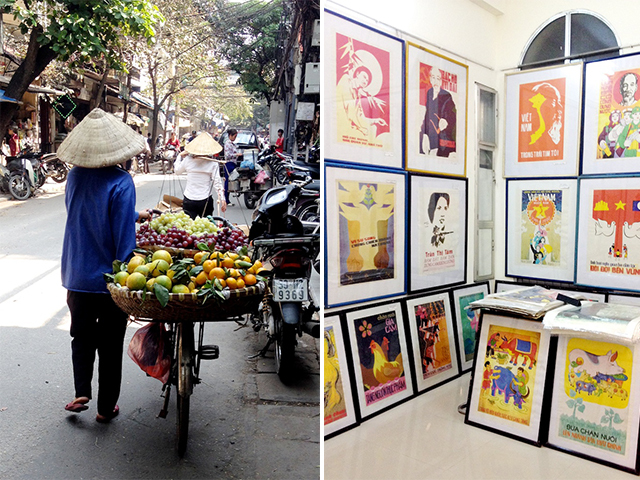 I’m not exactly sure what I expected when I visited Hanoi recently but what I found was a quaint, chaotic and full of life city (more like a big village) with such an enthralling street grain and inspiring energy, I fell in love instantly. 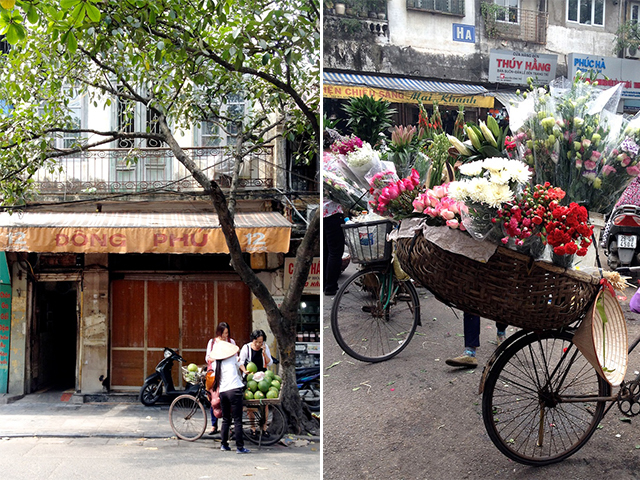 Although Hanoi doesn’t have the nightlife of Bangkok, or the trend culture of Tokyo, it has a distinct flavour and energy of it’s own, layer upon layer of history that makes it feel part Paris, part broke down Palace. 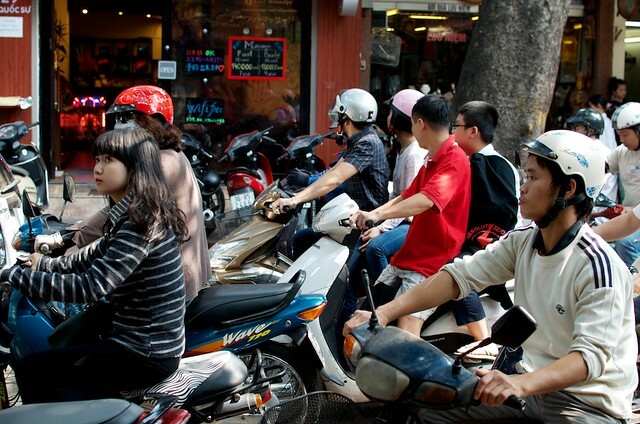 The cluttered streets of the Old Quarter are filled with swarms of motorbikes and on every corner there’s boiling pots of street food and vendors selling vietnamese drip coffee. Lot’s to see, lot’s to do, and lot’s to eat. Could a weekend getaway get any better? See for yourself, and feel free to share any other tips you have! After pretty much everyone recommended it, we splurged and stayed at the Sofitel Metropole Hotel, it was only for a couple of nights and we loved it! 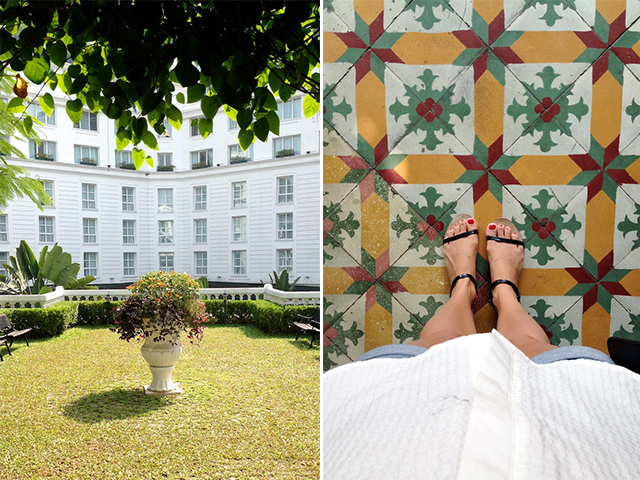 After being in the city I can see that there are quite a few options of places to stay, but nowhere beats the atmospheric charm of this French colonial hotel. 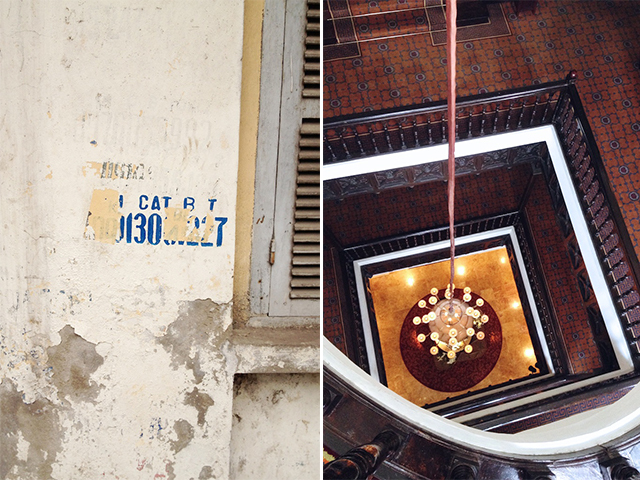 It really is a touch of Paris in Hanoi! 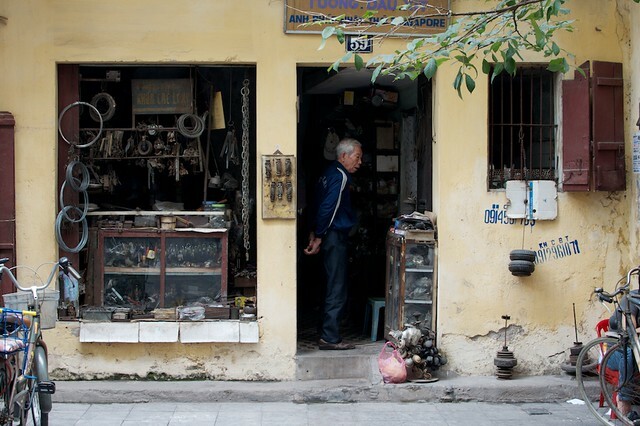 Old Quarter – If you only do one thing while in Hanoi, take your time to wander the busy, hectic and utterly charming old quarter. I have to say I fell in love the first day and didn’t feel the need to do anything else other than that the whole time! The maze of streets are filled with tiny shops, each street dedicated to a single type of merchant, it’s utterly riveting walking around all day and felt relatively safe to do on your own (although, as usual, keep your wits about you). Hoan Kiem Lake – At the centre of the city, this lake and it’s surrounding strip of park is a breath of fresh air amongst the old quarter, a place to stop for a rest and enjoy a brief moment of tranquility. In the top North West Corner of the lake there’s a very cute little rotunda and cafe where you can have a cool drink and relax. Hoa Lo Prison – First built by French Colonialists to house political dissidents and then used during the Vietnam war to hold captured American POW’s, this prison has a chequered past. A museum has been built in what was the gatehouse and it’s an interesting insight into the history of the place and the city itself. The seemingly happy coverage of the POW’s while in prison (note all the smiling American servicemen) seems to be at odds with accounts I have read elsewhere, but see what you think when you go. 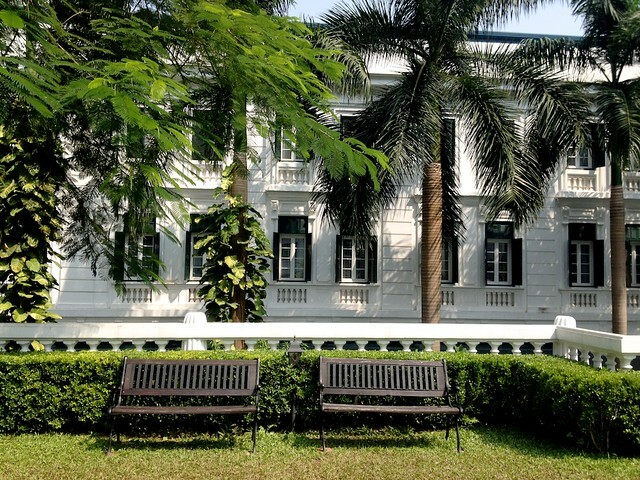 Ethnology Museum – We loved this museum, filled with tribal art and explanations of the many differing ethnic groups of the Vietnam region. It’s a little while away so perhaps combine it with a trip to West Lake. West Lake – ‘Tay Ho’ is a large freshwater lake to the NorthWest of the Old Quarter, a suburb where it appears lots of expats live, and I can understand why. 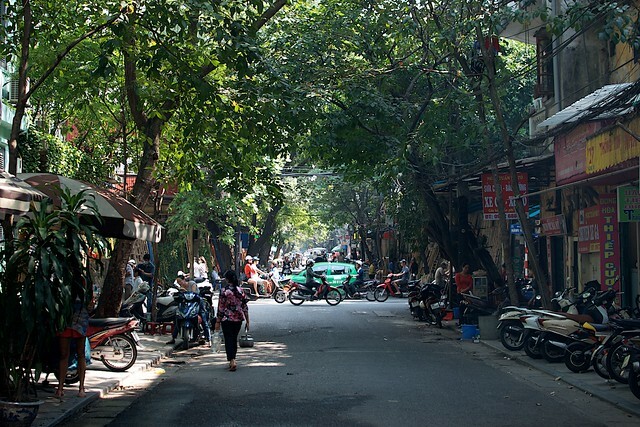 Such a beautiful area with a mix of old and new Vietnam. Visit the flower markets or grab a drink at the Intercontinental. A welcome (short) reprieve from the busy old quarter. 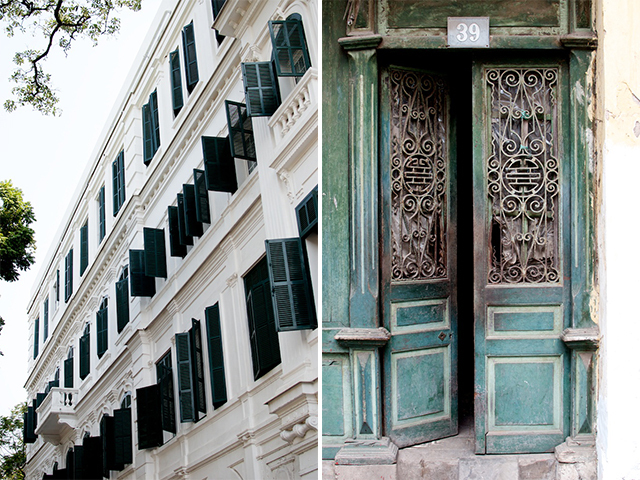 Tan My Design – When you’re in Hanoi, make sure you don’t go home without a new set of linen, the city is known for it’s cotton, silks and embroidery. The best place to do this is around Hang Gai, I bought the most gorgeous set from Tan My Designs, not completely dirt cheap but worth soooo much more than I paid for them. I look forward to crawling into my cloud of a bed these days like never before! 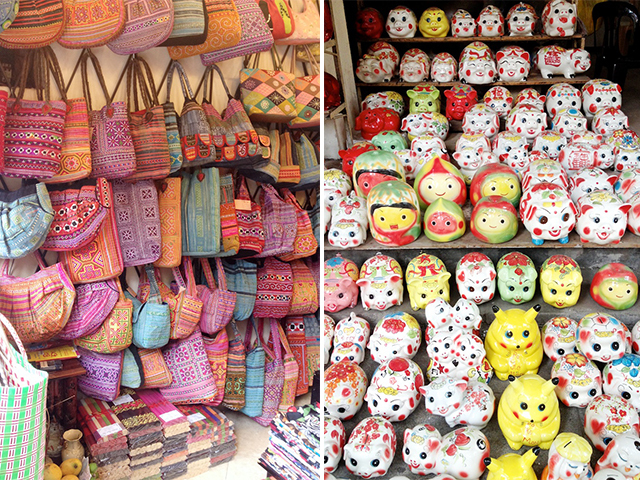 Dong Xuan Wholesale Markets – These markets are just to the North of the Old Quarter, and super hectic, but a great place pick up some trinkets, cheap jewellery or a pair of sunnies after you lose yours (naturally). 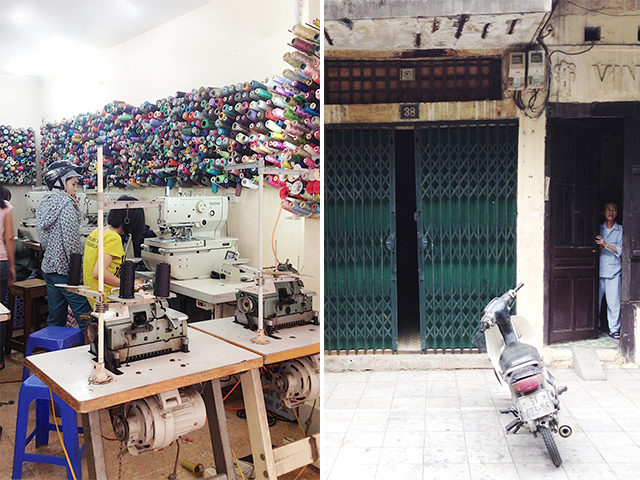 Cho Hom Markets – This market, although a little bit to the South of the Old Quarter (grab a taxi to get there if you’re staying centrally), is filled with fabrics and the area around it has a few tailors who may be able to stitch you up something if you have the time. 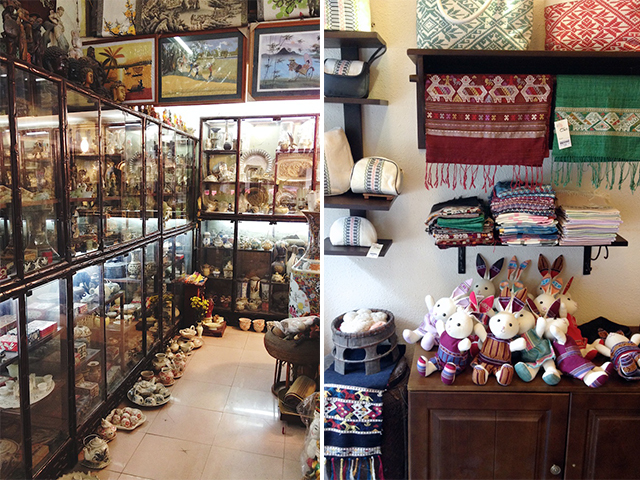 Chie Handmade: I found lots of stores around the old quarter selling Asian handicrafts, and after a while they tend to all look the same – same fabrics, bags, toys etc. I chanced upon this store and loved the uniqueness of their designs, a little bit different and a lot more elegant than the usual tat you find everywhere. I bought a few fabrics, some cushion covers and some other handmade goodies here. Definitely recommend! Currently located at 49 Hang Trong, with another store on that street too. 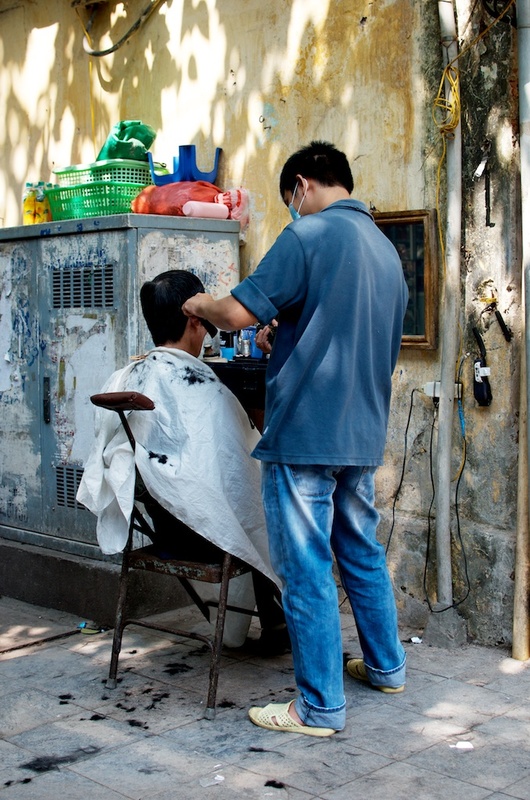 They have a facebook page but no website, as is the case with lots of places in Hanoi. 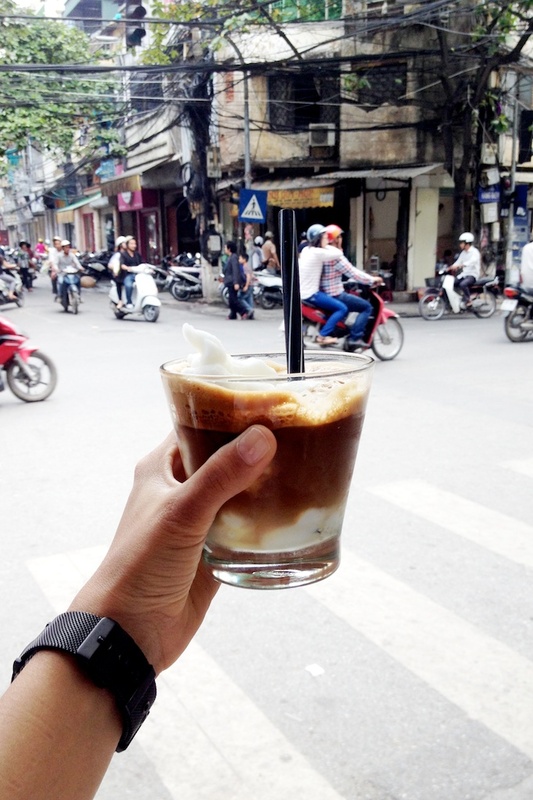 Cong Caphe – If you only have one vietnamese coffee while you’re in hanoi make sure it’s here. Seriously. I don’t drink that much coffee anymore but took up the addiction for a few days just so I could revel in drip coffee with coconut frozen yogurt. I visited the Hang Dieu store everyday and sat on the tiny military stools for hours, taking in the activity on the street and loving the tongue in cheek military vibe of the cafe. Love! 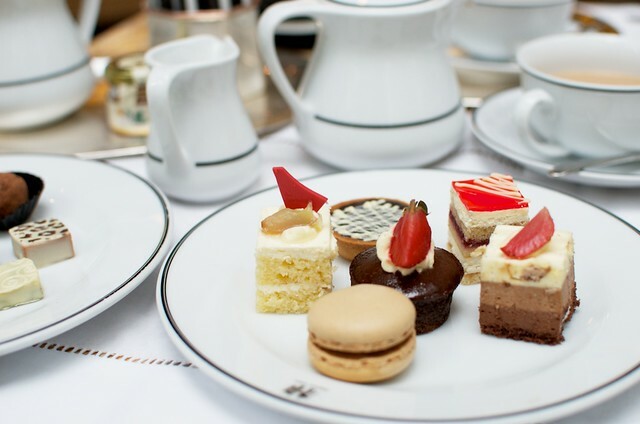 Metropole Chocolate Buffet – What better way to while away an afternoon than a chocolate buffet afternoon tea in the light filled conservatory that is Le Club at Hotel Metropole. One of those please-roll-me-out situations, leave all diet restrictions at the door! Bar Betta – An amazing terrace house in the Embassy district that’s been turned into a super fun kitschy bar, decked out with old records and mismatched vintage furniture – perfect for a lazy after dinner drink. 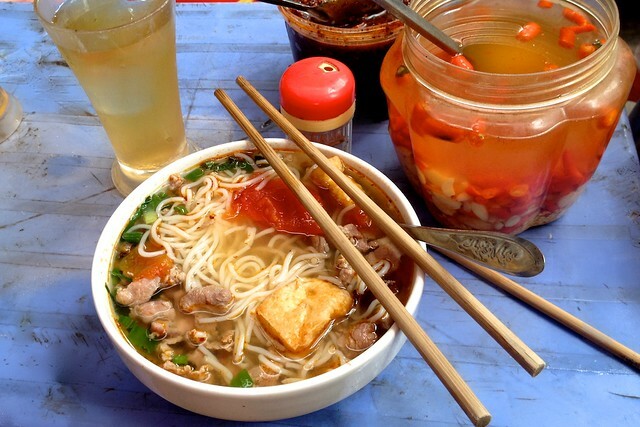 67 Hang Dieu Street – Best simple beef noodle joint on the streets of Hanoi. Just go. 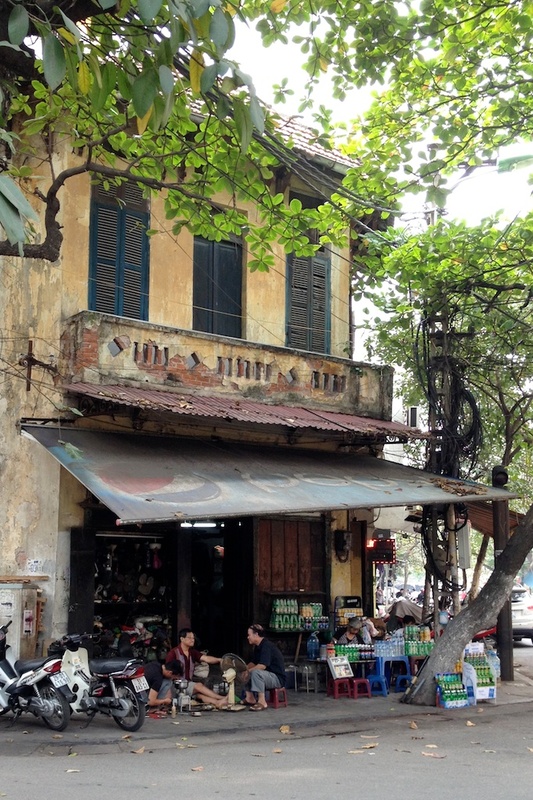 The Hanoi Social Club – Tiny little veggo cafe in the Old Quarter, great place for a lunchtime pitstop. Indochine Restaurant – We loved this pretty house with simple food and a lovely late night vibe. Note to all, most kitchens close around 9pm so make sure you head out early. 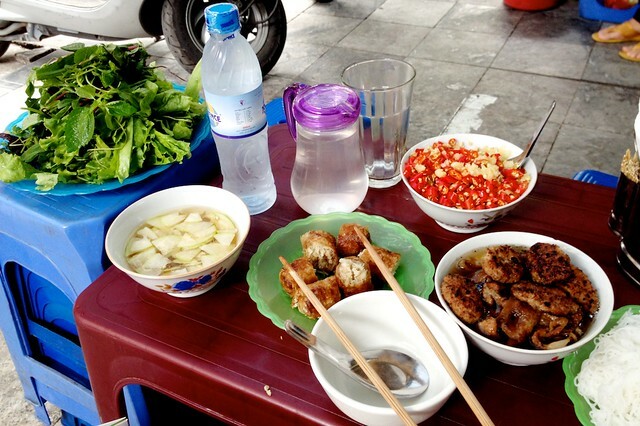 Bun Cha Dac Kim – Street side stall selling BBQ minced pork balls served with vermicelli noodles and salad. On Hang Manh and best for lunch. 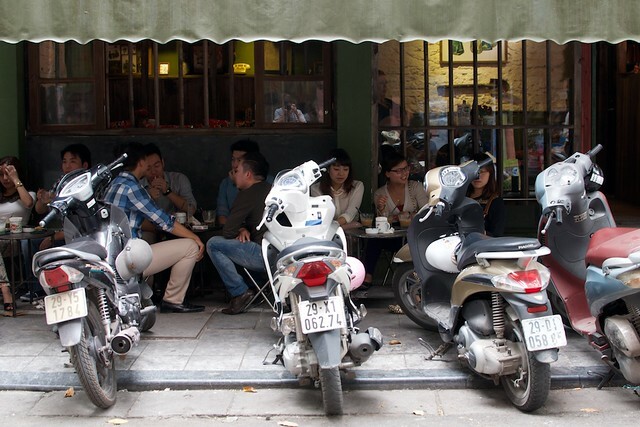 I went to this cafe virtually every day for the people watching as much as the drinks. As someone who rarely drinks coffee you can imagine it was like: zing! Was so inspired by the amazing tiles! One of the quieter streets in the old town. It’s always tea time! 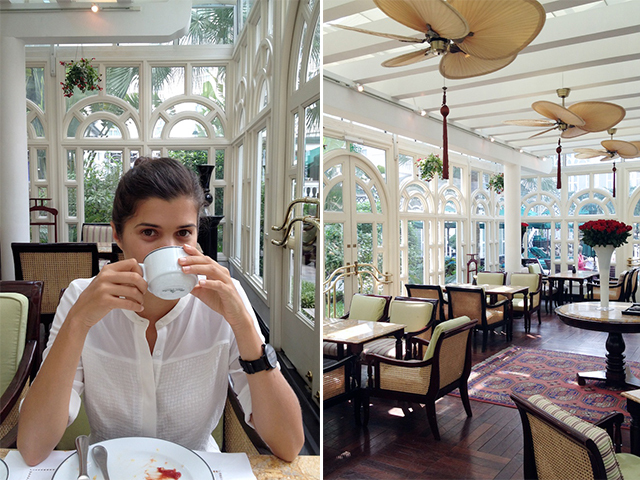 | Meeting Miss Scarlet in the conservatory (ie Le Club in the Hotel Metropole). The Old Quarter has such a gorgeous broke down palace feel, I didn’t want to leave! The upper courtyard at the Metrpole, talk about dreamy! 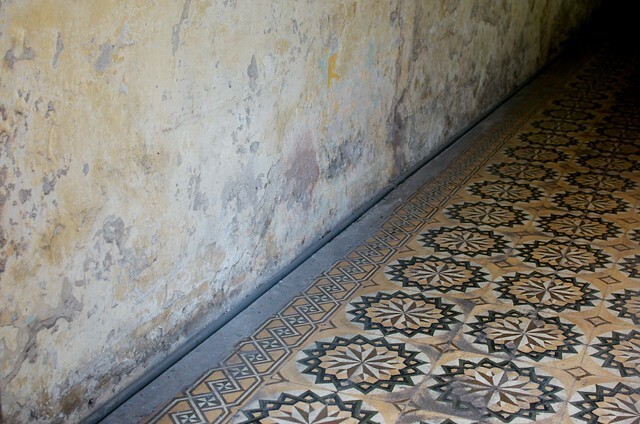 | More tile love. The Old Quarter is full of amazing shop fronts. The perfect place to read a book. 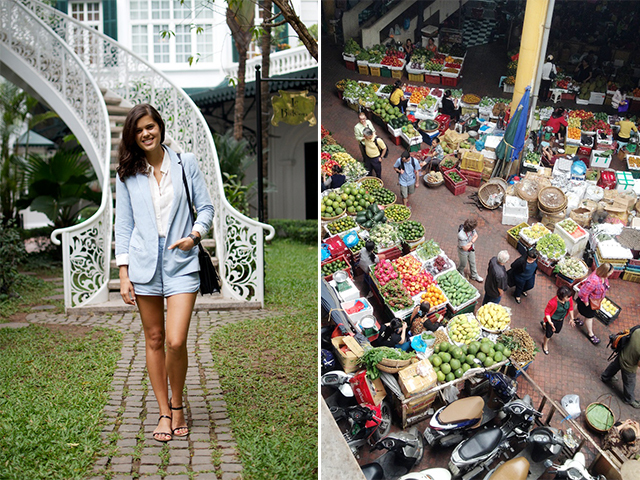 Travel outfit | Fresh food in the markets.